Following are some applications for alive hands. I have included one application that involves getting a strike blocked and the response to it, another application whereby the attacker is trying to close in and suppress you to stop you from being able to strike and the last one is a grappling counter application. A basic application is that I throw a right handed whip to the eyes and it gets blocked. I immediately (non-stop) retract it using my left hand whip hand and retraction to move their arm and bounce my right whip hand off of my body and then strike to their groin. When I retract my left hand off of my body I use it to control their arm (and ideally body) position so that I then execute another bouncing whip hand to their eyes with my right hand. Another application is that the attacker is trying to suppress my arms. 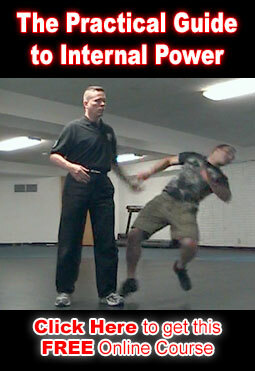 Instead of trying to push back I simply use one hand as a whip pushing against their suppression thereby helping to create the space I need to execute a whip hand with my other hand which retracts and bounces off of my own body and then is fired where they are not protecting. If they are pushing against me up high between arm and head level then my whip is to their groin. If they are trying to take me down at the waist then my whip is to their eyes. 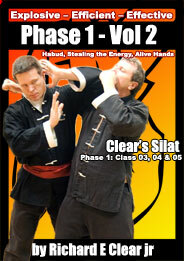 If the attacker is a lot bigger and stronger than me and has grabbed both of my arms then I perform Drill # 1 alternately whipping and retracting / pushing and pulling with both of my arms until I am free and fully whipping and retracting and the attacker is getting pulled into bad positions and hand/finger whipped and can no longer hold on.